They arrive this summer in 7- and 8.4-inch form. As Google Assistant continues to get smarter every day, more and more companies are making hardware that's compatible with the platform. The latest one is Archos, which has introduced a couple of Google Assistant-powered smart displays at MWC 2018, adequately dubbed "Hello." 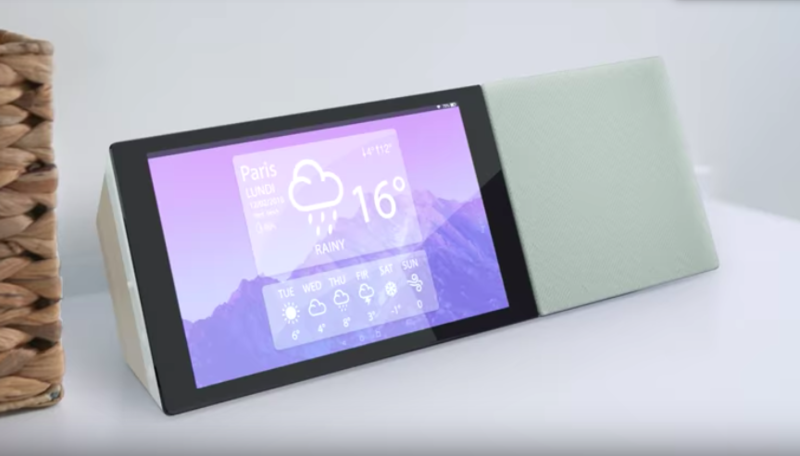 Like with other similar products, you can use the Hello display to ask Google for a variety of things, such as the weather, recipes or news. The benefit here of course, compared to something like the Home Mini, is that you can actually view your search results on a screen, as opposed to just hearing what the Assistant has to say. Naturally, the Hello displays also double as speakers, letting you jam out to some music while you're cooking or walking around your home or office. They should blend in nicely with your furniture, since they have a minimalist, wooden finish that makes them easy on the eye. In terms of specs, there's 2GB of RAM, 16GB of storage, a 1080p, IPS display, 4,000mAh battery and a 5-megapixel camera for video calls. Archos will be launching them later this summer in 7 and -8.4-inch versions, and the company told us pricing should be between $130 and $150 for the smaller device and $170 and $200 for the larger one.